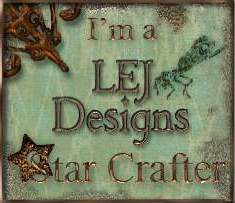 Hello, to day I have a CAS card for you made Using a Little Claire’s stamp set. The tree trunk comes separately to the tiny elements allowing you to bulid up your own individual tree. The Backing paper is from Crate and the stamped images are coloured with Promarkers. 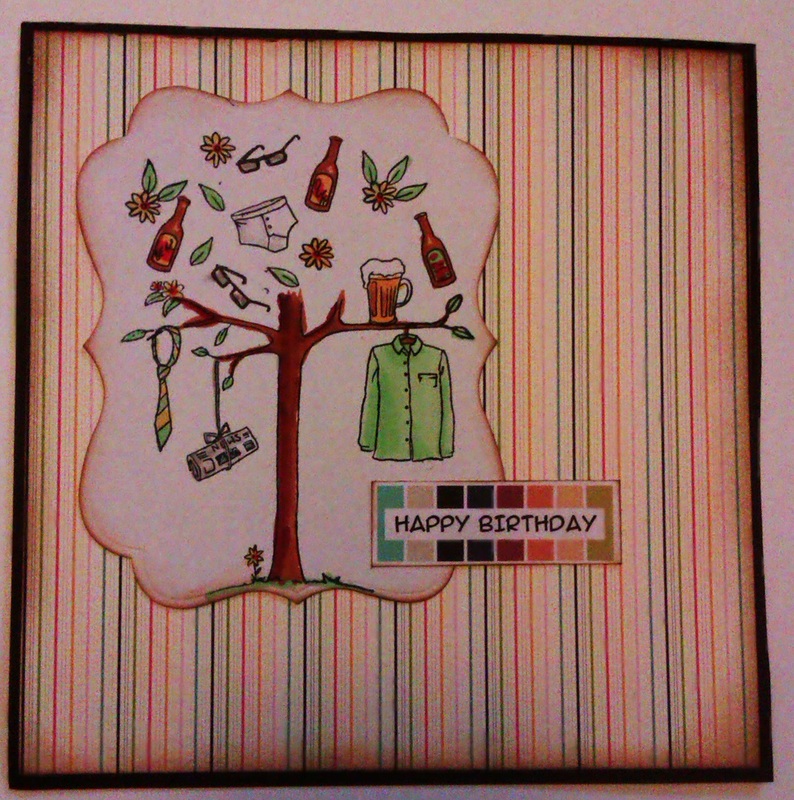 Keep an eye out for more Changing Tree cards here on my blog. Here is a super sweet card made with ittle Claire’s Changing tree. 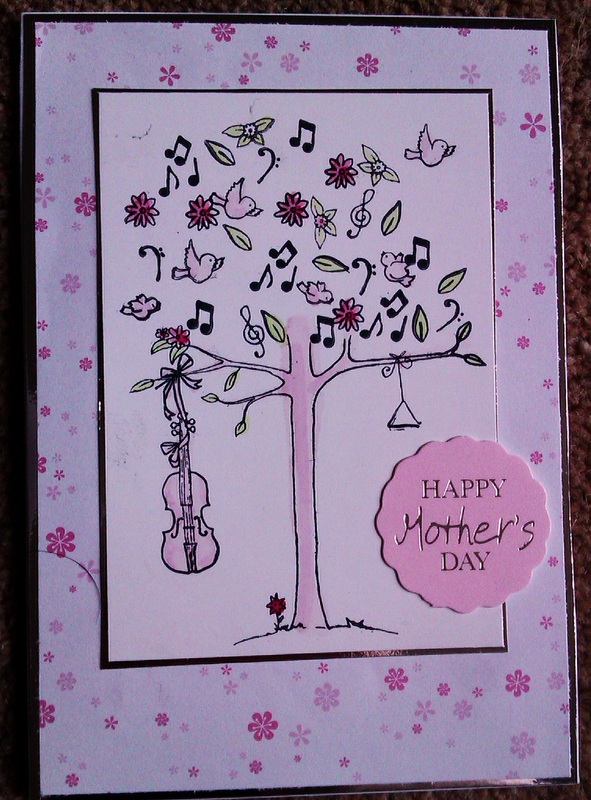 I stamped the card and the sentiment that filled the space was this one, a small Hunkydory sentiment for Mother’s day. Of couse, that was over month ago in the UK but it comes every year! Her is a cute and simple stamp set from Little Claires. I followed several challenges making this card. 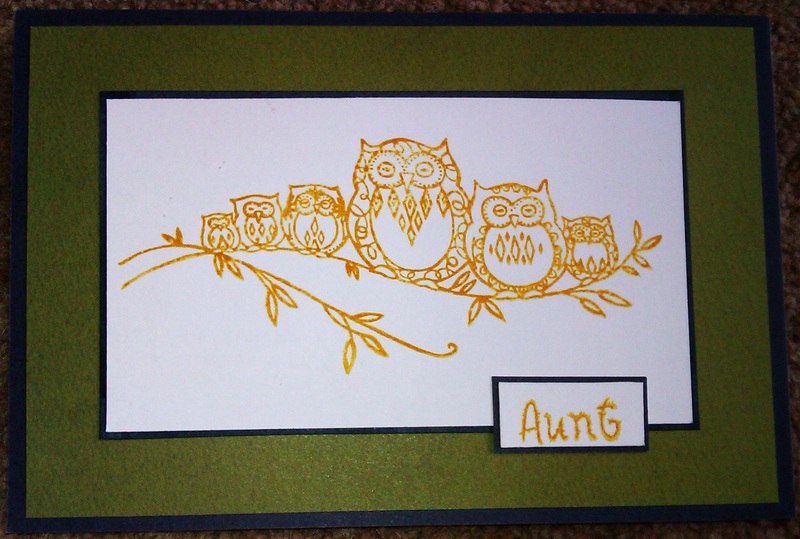 Firstly it is a one layer card – I have stamped diectly onto the cardbase using Papermania brown pigment ink. I used a variety of stamps rfom my stash, the bunting stamp was free in a magazine and the letters are again Papermania. I decided to stamp over the gold border line and then ink around the dges omake a frame. It was a bit of an experiment but I was very happy with the end result, let’s hope my hubby will be too! Thank you so much for taking a look at my card – please stop back again soon. 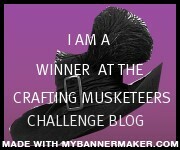 This week’s theme is embossing, dry or heat. 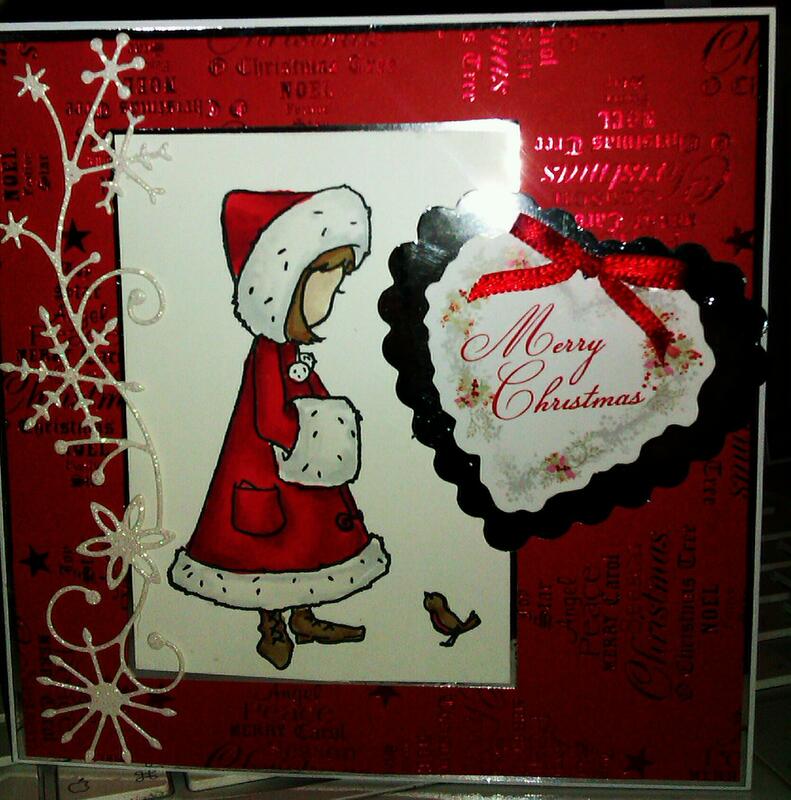 I have made one card using a digistamp from Doodle Garden; it was coloured with Promarkers and then I used a Versamarker pen to heat emboss the snowflake. I made it into a thank you card using a sentiment from Hunkydory. 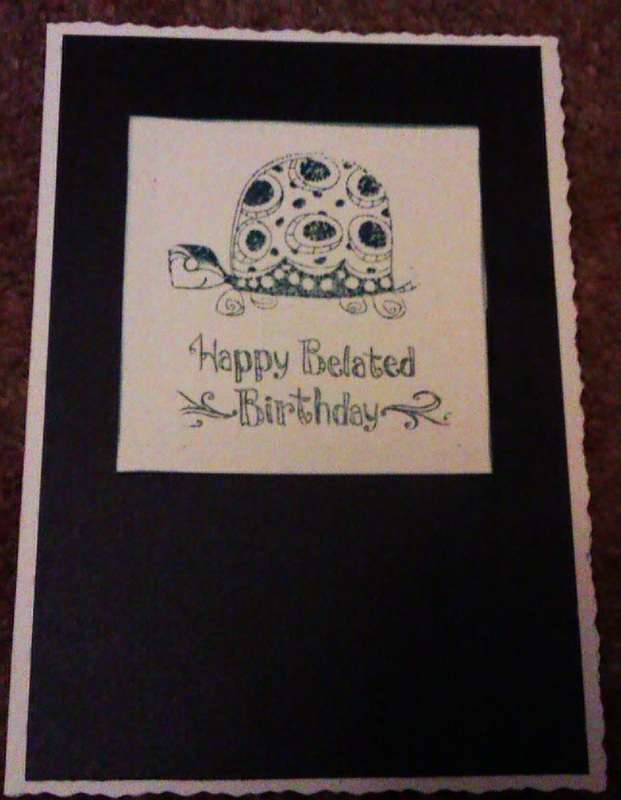 The second card is made using a Little Claire’s stamp, ‘the owl tree’. I used Versa Colour brown to stamp the image onto pearlescent card, then Papermania Champagne gold embossing powder, which when combined give the lovely golden bronze colour. 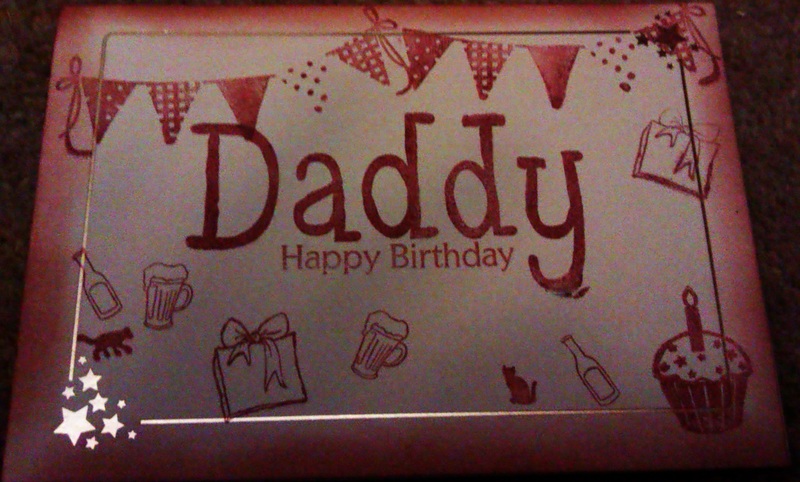 This card is made using a little Claire’s stamp. The backing paper and heart-shaped mat are Kanban and the embellishment is die cut from glitter card.